Size 4 1/2 in. 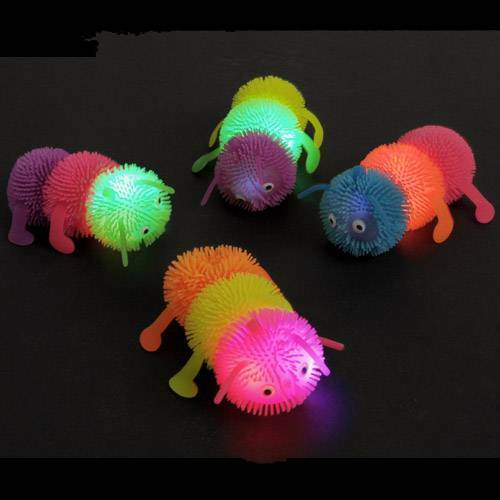 L.
Light up your backyard expedition with this flashing caterpillar puffer. 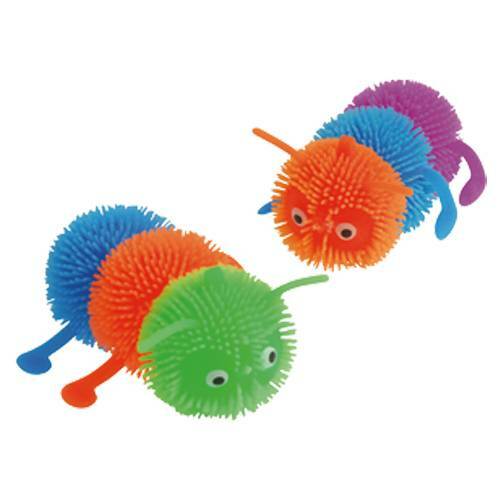 Can be stretched and squeezed, yet bounces back into place everytime. 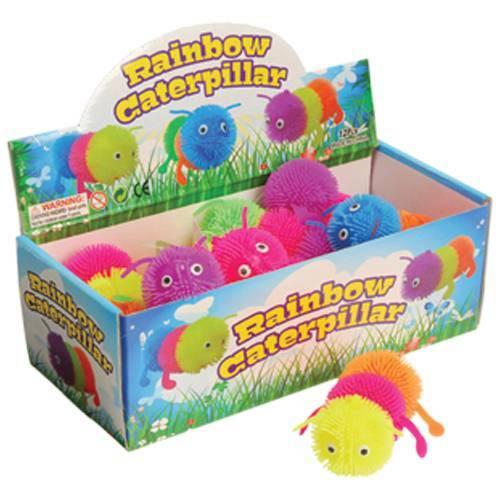 Hide it in the backyard for night time scavenger hunts or pass them out as party favors; this rainbow colored critter will be loved by all.